New Dawn Garden Life – Decking in Englefield Green, Egham, Surrey. 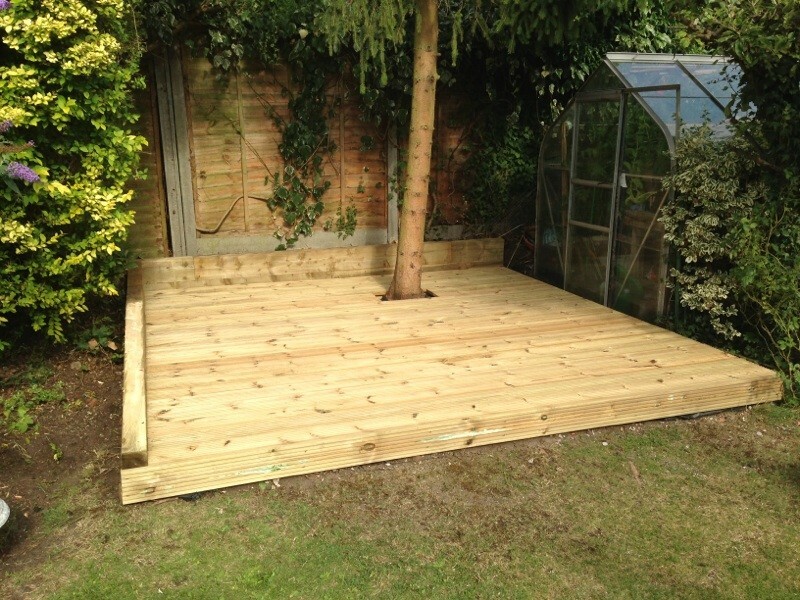 Decking in Englefield Green, Egham, Surrey. Jill had a piece of her garden (about 3.5metres squared) that was completely wasted. It was an over grown flower border that no longer had any use. It was recommended to her by a trade’s man that she contact New Dawn Garden Life. New Dawn tidy up the unsightly mess, straightened out the wonky fence line, edged the back of the area with railway sleepers and fitted a lovely new Deck. The area is now very usable. An alternative place to sit and relax has been created out of an area that was previously unused. 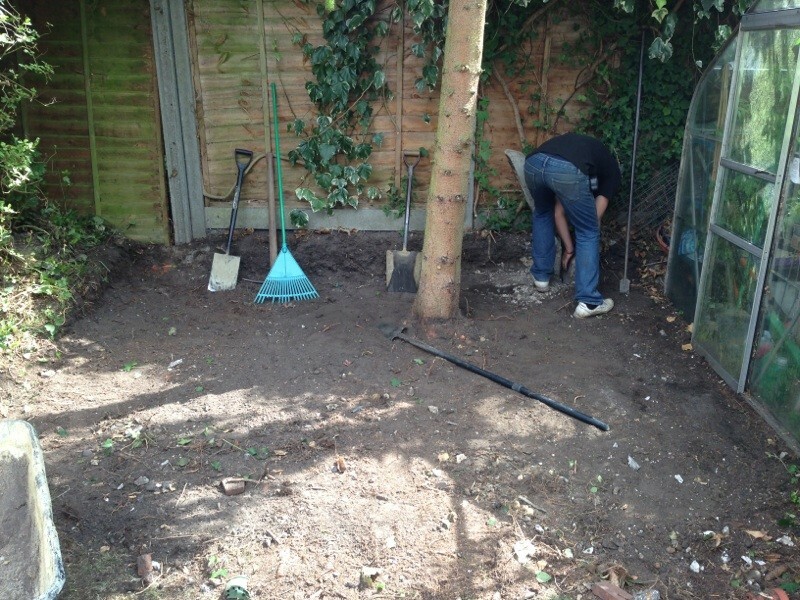 See from the photos a new deck in Englefield green, Egham, Surrey.